Are you looking to buy a gift for a teen guy who is at college or about to go to college? This article has tons of ideas of fab gifts for teenage boys who are studying and most likely partying and playing at college. There are ideas for his dorm room, study gifts and everyday gadgets to use at college or at home. In fact, there are lots of practical, useful as well as fun gifts for college teen boys. There are lots of informative books that are really fun to give and read but offer lots of practical advice too. One of my favorites is The Naked Roomate: and 107 other issues you might run into at college by Harlen Cohen. If he is in a dorm room consider getting him some of his own appliances that will make his life easier. Some ideas include an electric kettle, this is great for making tea and for boiling water quickly for pasta. A microwave is another top idea. Great for making quick snacks or making quick popcorn for movie nights. A mini fridge is great for keeping drinks cool especially when he is studying. ​ Other useful ideas could be a coffee making machine or a toaster oven. Before you buy any stuff, check what is provided in his dorm. There is no use buying him a microwave is there is one just down the corridoor. A little handheld vacuum can also be really useful for keeping a clean living space. A travel iron or even a full sized iron to ensure he looks smart when he needs to. If he has a leatherman tool, he are going to be in demand that's for sure. There are always times when he or somebody else will need a screwdriver, bottle opener, can opener or other tool and nobody else will have one. Or if you prefer, a tool kit can be even better. Students are notoriously bad at cooking for themselves. It always helps to have a cookbook aimed at using low cost ingredients and food. It will give him inspiration and help him master at least 2 or 3 meals he can cook when he needs something nutritious and homely. Obviously money is appreciated by most students at college. It can be given as an allowance every week. Or you could give the occasional lump sum so he can treat himself.. If you want to make sure he is spending some money on useful things for studying such as book supplies you could get him a gift card to a bookstore. ​ LIkewise if you want to make sure the money he spend is on food, give them a gift card to a grocery store, restaurant or cafe. It’s currently a no brainer to get Amazon Prime for a student as he can have a 6 month trial free to charge. It can then be cancelled after the six months or he can carry on and have prime membership at 50% off. A media streamer device connects a television to the Internet and allows you to stream video and music from online services. 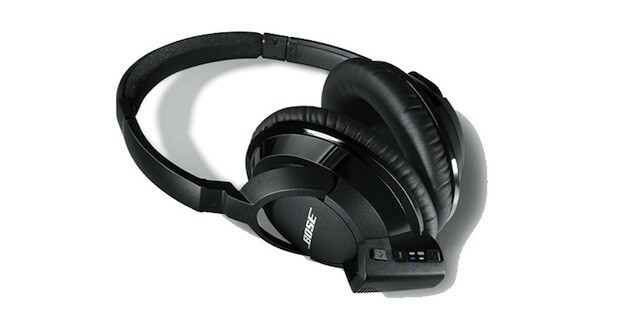 These are great to have in a dorm room as it can give you access to a lot more TV and music channels. There are lots of media streaming devices available. Apple TV will work with other Apple devices such as the ipad. There is the amazon fire TV stick which works will if he has a prime membership. There is also Google chromecast. A prepaid cellphone can also be very useful. You can always get in touch with him and he can get in touch with you too. A portable charger is another idea, so he can charge his devices wherever he goes. ,It’s just a small gift but a student ID card holder or lanyard can be extremely useful. Students are forever having to show their ID, especially to get in and out of college. Therefore, a card holder or lanyard that he can quickly have to hand can save him a lot of time searching through his bag to find where he's put his ID. A warm comfortable bath robe can make a practical gift especially if he might have to share bathrooms. Even, if not they are nice to get cozy in after he have just had a bath or shower or just when he want to keep warm. It’s good to go to college fully stocked. So you could create packages of things they really need. For example, lots of toiletries such as toothpaste, razors, shampoo, conditioner, lotions, floss etc. Another idea is a food package or laundry supplies. You can also take this idea a little further and post him small packages throughout the year of things he might need and appreciate. There is nothing better than receiving a package from home. A bedrest - gives support when looking at a laptop or tablet on a bed or couch. There are all kinds of decor and accessories you can get for a dorm room to make him feel at home. Some ideas include a nightlight, an electric blanket (great if he is going to a colder climate), some wall art or a poster, an alarm clock, a bean bag chair, throw rugs to cover any cold floors or a comfortor. Some organisational stuff such as a shower caddy to store all his stuff in the bathroom or a room tidy for his bedroom. ​Fluffy towels are also useful and comforting to have. You can also personalize a gift for him for his dorm room. What about some framed photos or a personalized mug. A bed rest is great if he likes to study, read or watch TV while on the couch or in bed. Bed rests give some extra support when lying or sitting on the bed. A lapdesk is another idea. Put your laptop on the lapdesk while working on the bed or couch. It will stop your legs getting hot from the laptop and make it comfortable to use. A foldable clothes drying rack is another practical idea. It can be nice to have some new clothes to take to college. They can be very practical for everyday wear such as hooded sweatshire and jeans. Sporty types may appreciate some new sportswear. And if he is likely to be partying some smarter and more dressy attire. If in doubt, get a gift card to a clothing store and it's difficult to go wrong. If you are certain it won't distract him too much from his studies, you could also consider a games console. Many teen guys enjoying gaming to relax and use it to connect with their friends when they play games together.. There are also lots of other tech items that will help him with his studies. You could consider getting him his own printer. Voice recorders or an mp3 player can be useful for recording lectures and making sure he doesn't miss any important pieces of information. An e-reader is more comfortable to use to read text books on then a tablet or a phone. There are writing tablets such as the boogie board that enable students to work out problems, write lists and record messages without having to use bits of paper which can be useful when he is studying. A lifescribe smart pen is another idea. It will records everything he writes and heasr in lectures. Don't forget essential but perhaps not very exciting stuff such as USB cables. As well as tech, there are study supplies that are essential. Pens, paper, post it notes and highlighters are all obviously very important. You can give your loved one a supply of the stationary that he will need. Backpacks and laptop bags are perfect for carrying all his stuff to and from college.